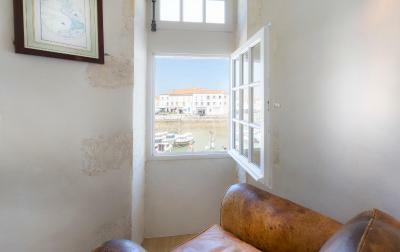 Lock in a great price for Hôtel de Toiras – rated 9.1 by recent guests! Everything! Just a perfect beautiful small French hotel. Nice staff and provide more supporting in our holidays. The decor of the whole hotel was very nice. A huge comfy bed. We thought it had a very peaceful ambiance. The reception staff were very helpful, and the position of the hotel is perfect. Lovely hotel in stunning location. Sadly this was a flying visit and there was no opportunity to eat at the hotel. We will return. Location is very central in St Martin. The rooms are very comfortable and well appointed. The staff are extremely helpful and friendly. The service was excellent and the hotel was extremely stylish. Fantastic location whilst still being quiet in the rooms. Incredible hotel and if you get a chance to book the Presidential suite, then the view over the harbour is stunning and the room is fantastic. Very pet friendly too! No WiFi in our room for two days but otherwise excellent. Hotel de Toiras provides accommodations on the Île de Ré, next to the Saint-Martin-de-Ré harbor. Some rooms offer a view of the harbor. Toiras has a restaurant, garden and outdoor pool. 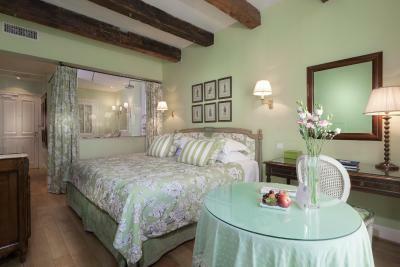 The hotel combines details of the original 17th-century residence with modern amenities. 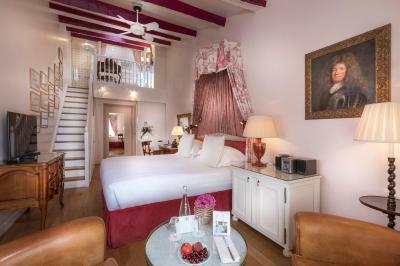 Each Hotel de Toiras room is air-conditioned and decorated with antique furnishings. The rooms have a flat-screen TV with cable channels and a private bathroom. Free WiFi is available throughout. Hotel de Toiras’s restaurant, La Table d’Olivia, serves seasonal dishes made from local produce. For guests who wish to take part in creating their meal, the hotel will lend a wicker basket to visit the local market. The chef will cook the ingredients according to the guests’ wishes. 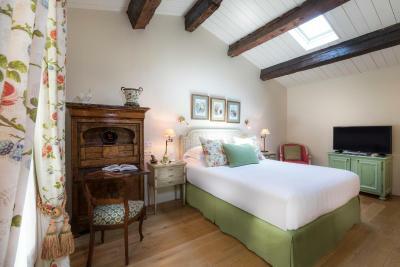 Guests are invited to dine in their room, in the aromatic garden, or on the terrace facing the harbor of Saint-Martin-de-Ré. There is also a bar and lounge where guests can enjoy an aperitif. Hotel de Toiras is just a 3-minute walk from the harbor.Toiras is 1.2 mi from La Flotte and 1.9 mi from Le Bois-Plage-en-Ré. 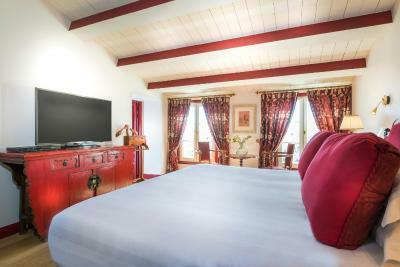 When would you like to stay at Hôtel de Toiras? These individually-decorated rooms have classic furnishings. They include a minibar and free internet access. 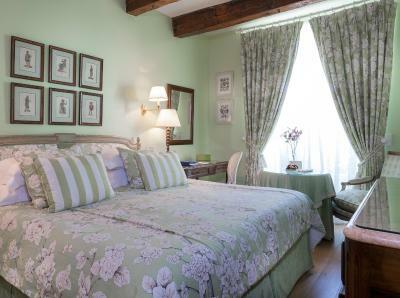 These individually decorated rooms have classic furnishings. They include a minibar and free internet access. Some of these rooms have a view of the aromatic garden. 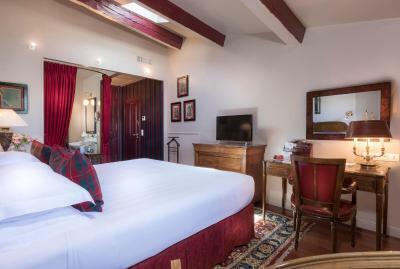 A DVD player, free internet access and a minibar feature in this spacious room. It is decorated with antique furnishings. 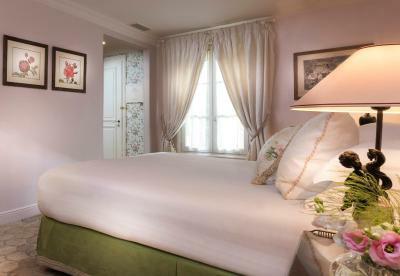 This suite is decorated with classic furnishings and provides a sitting area and a view of of the aromatic garden. 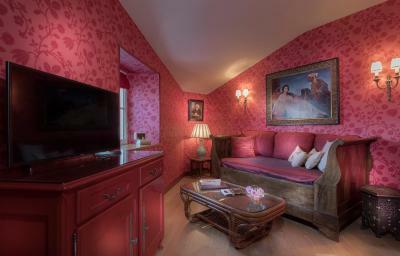 This suite is decorated with classic furnishings and provides a sitting area and a view of the Saint Martin Harbour. This suite features a minibar, soundproofing and bathrobe and a panoramic view of Saint-Martin-de-Ré harbor. This suite has soundproofing, minibar and air conditioning. 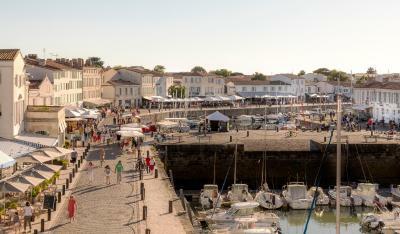 It offers views of Saint-Martin-de-Ré harbor. House Rules Hôtel de Toiras takes special requests – add in the next step! Hôtel de Toiras accepts these cards and reserves the right to temporarily hold an amount prior to arrival. 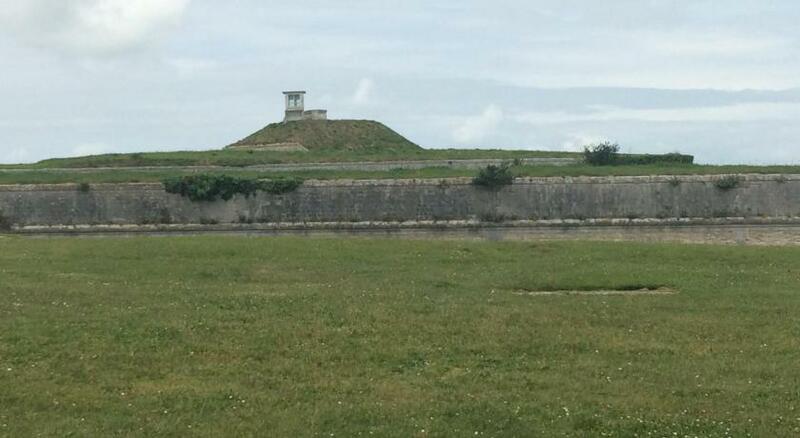 Please note that access to Saint-Martin's harbor is restricting during high season. If you plan to arrive by car, please contact the property in advance to obtain the necessary access code. Contact details can be found on the booking confirmation. suggest to provide two bottles water per room. Not convenient to walk to supermarket with kids. Our room was dark, especially in the wardrobe area, the bed seemed small - not kingsize. Small shaded garden. Lack of outdoor space. More suitable for couples. The dining room is rather small so conversations are easily overheard! The breakfast was a little disappointing and our staircase had the door to the service and bin area which smelt a bit unpleasant as you went up the stairs. 1 bottle of "free" water was provided on the first day of 5. When this was finished on the 2nd day no more was provided. On the 3rd day they even removed the glasses!! The "Deluxe Double" room was adequate - not very big and with only a curtain separating the bathroom from the sleeping area. No WiFi in our room for two days. My special request in advance of arrival, made on booking.com, were items for a gf breakfast. It was difficult for the morning 'chef' to get in the right contents. Helpful, friendly staff. Exceptional cleanliness in the room, which was well appointed.